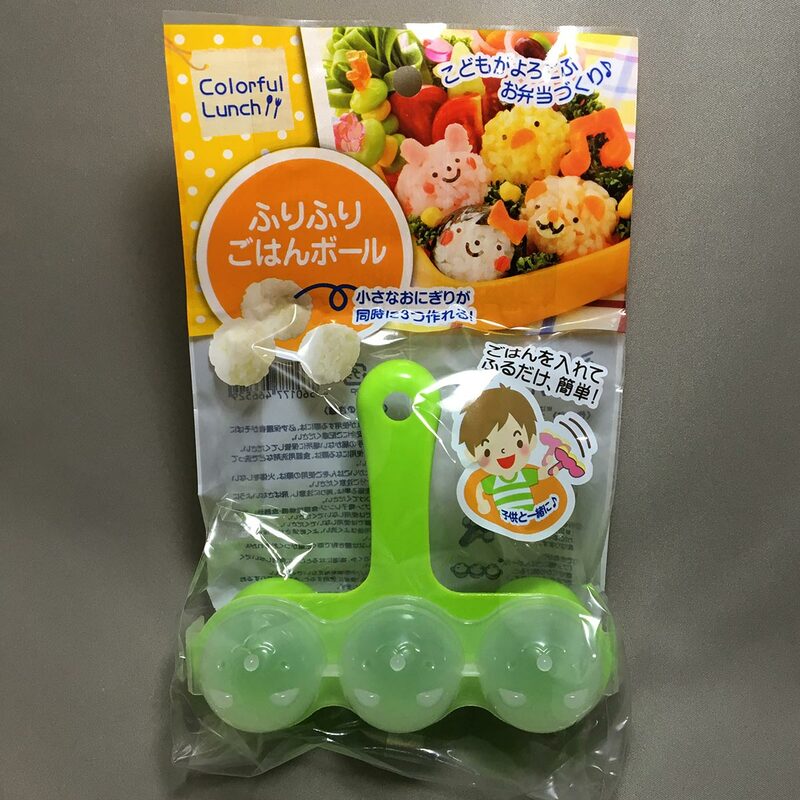 Kids will love using the Mini Rice Ball Maker Shaker to make small rice balls for their lunch, dinner or bento boxes. 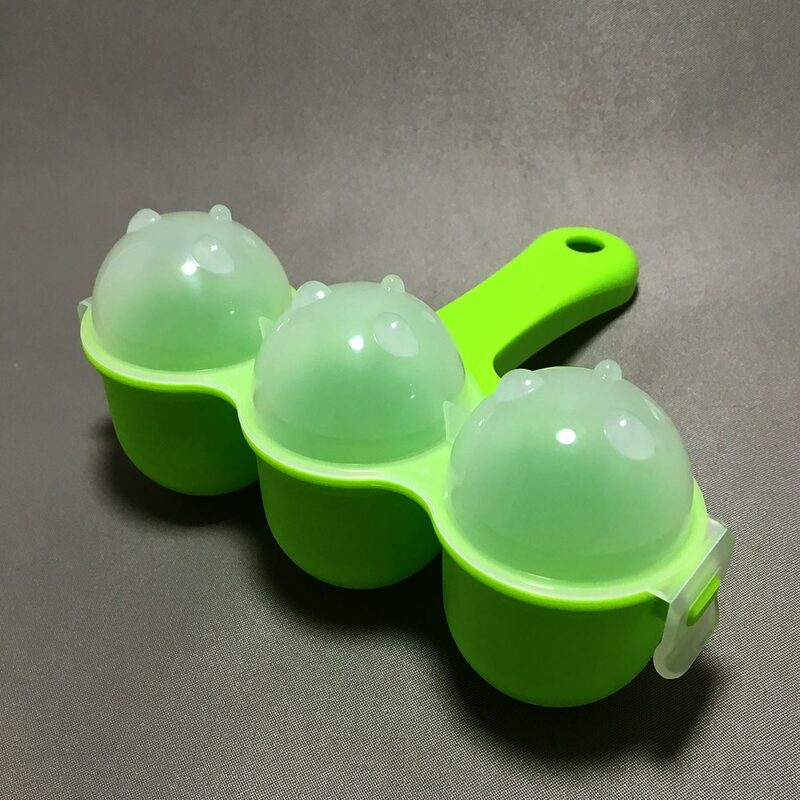 The shaker is easy and fun to use, just add some rice and shake, and you have perfect mini rice balls each time. And since the shaker does all the work, you don’t have to get your hands messy. 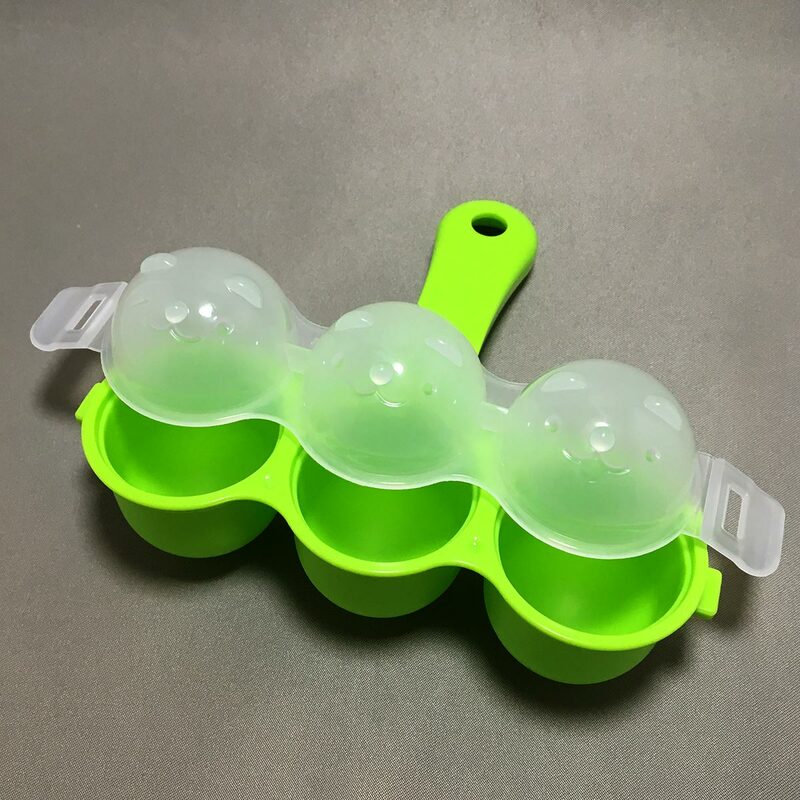 The case is designed to make 3 small rice balls, diameters about 3 cm. 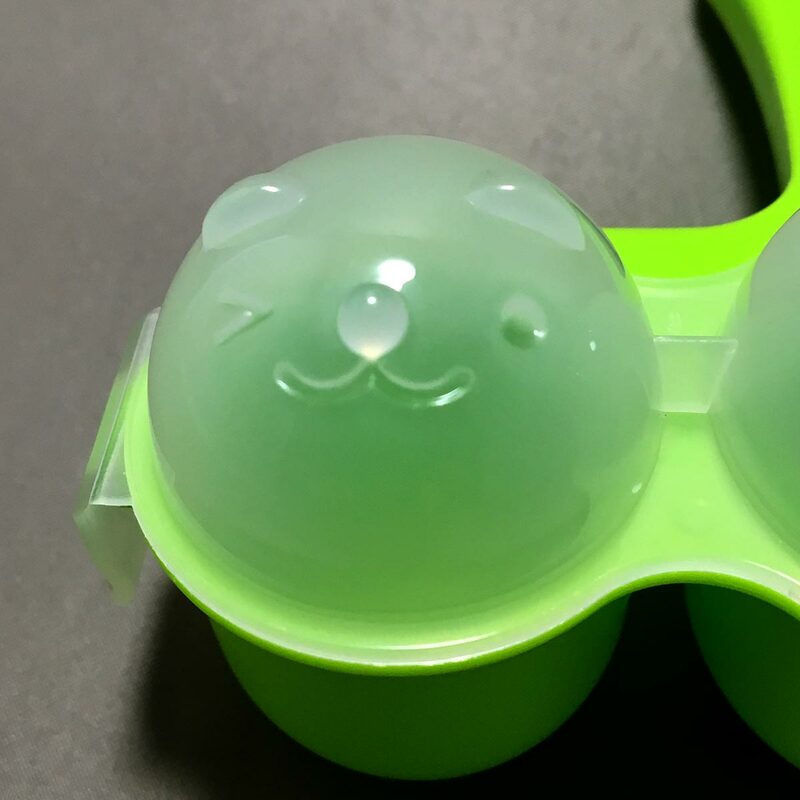 The 3 characters on the removable lid have different expressions; left is winking with one eye, middle is smiling, right is smiling with mouth open. 1. Fill the shaker base with warm rice. 2. 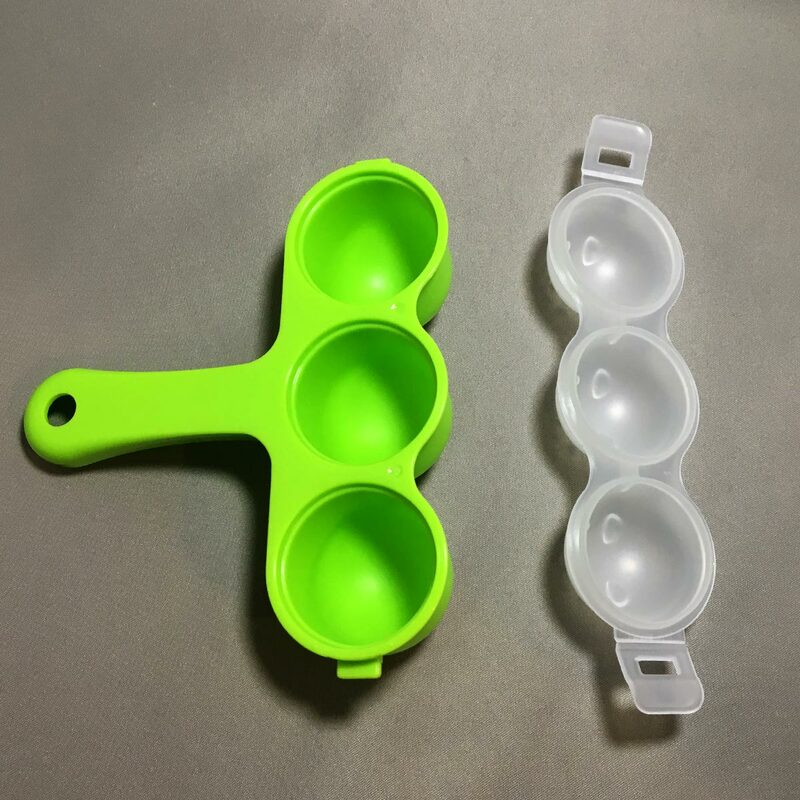 Attach the lid and lock the clips on both side. 3. Shake. (Depending on strength, roughly 20 times is enough). 4. Mini rice balls are ready! 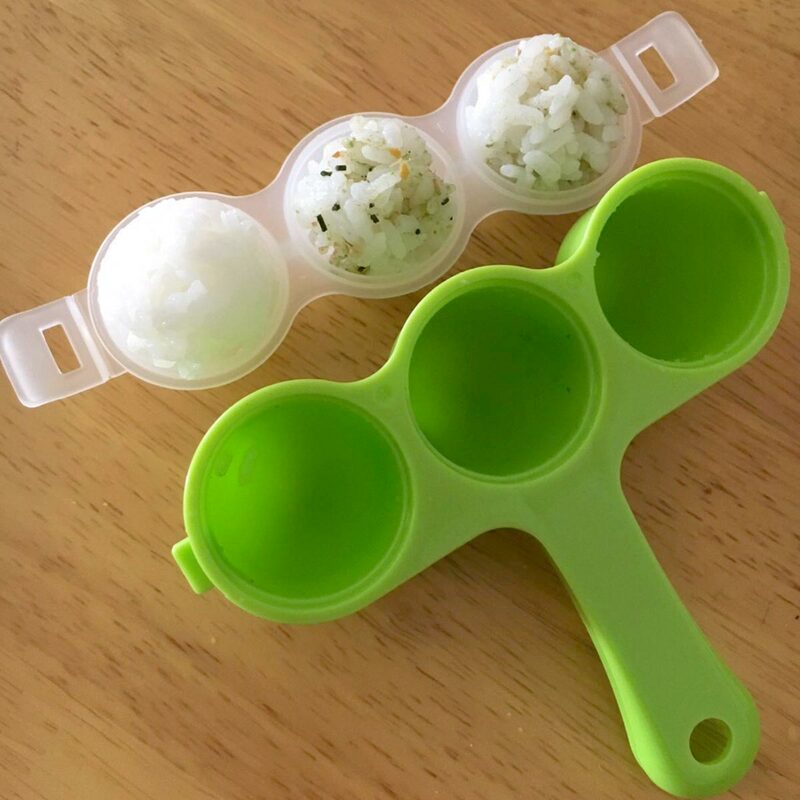 The mini rice balls are easier to make if the lid and shaker base are moisten with water. – Close adult supervision is required. When using the product, always keep your child within view. – Store away from children’s reach. – Wash with dish washing detergent before first use. – Use caution to avoid injuries when handling hot/warm rice. 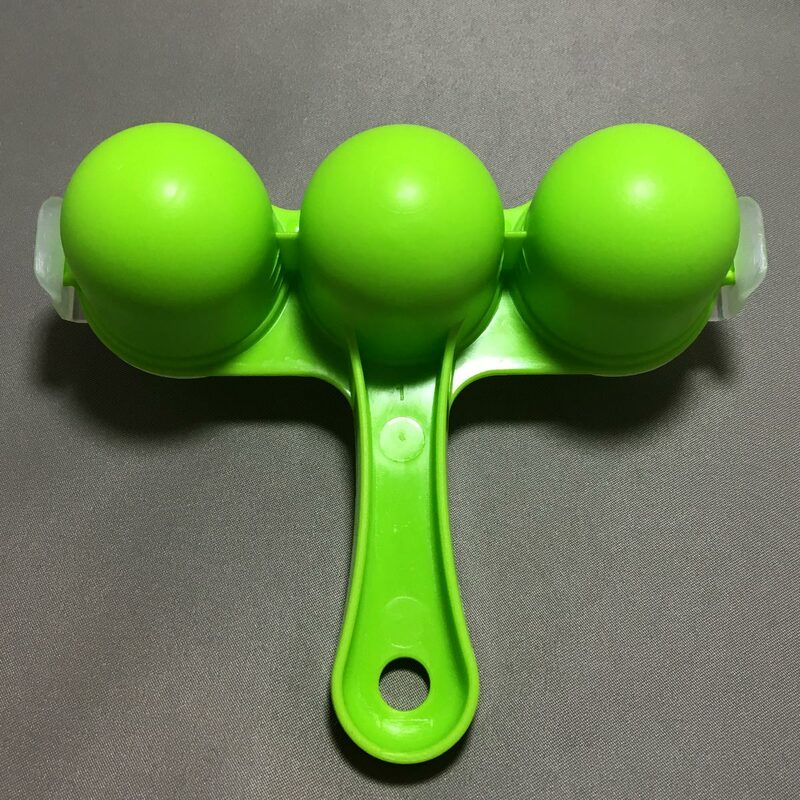 – Be aware of the surroundings when shaking the mini rice ball maker shaker. – Do not use in oven, microwave, dishwasher or dish dryer. – Do not use in freezer. 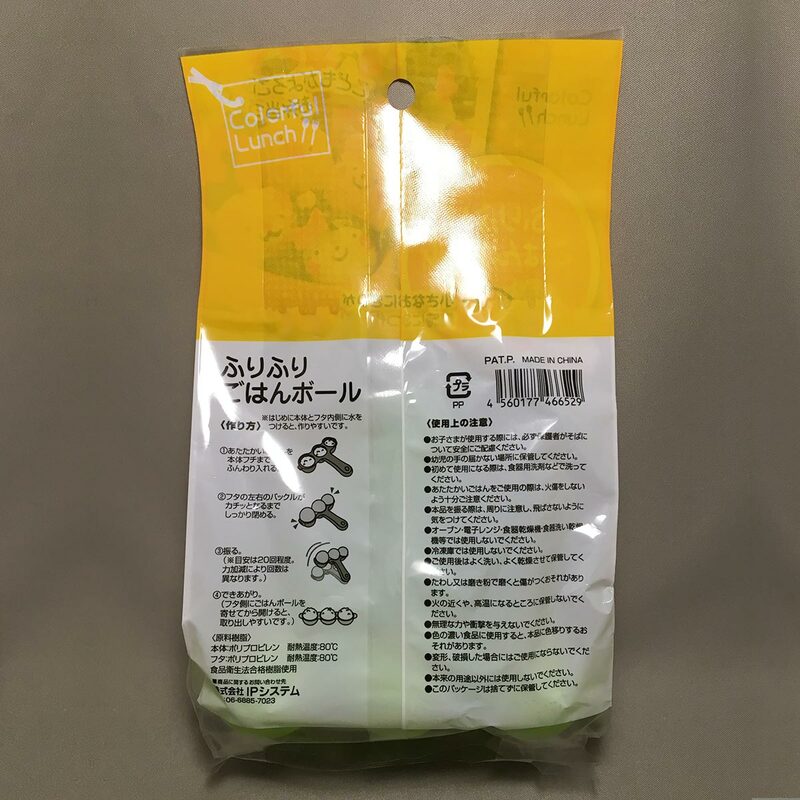 – Wash and dry thoroughly after use. – Do not use scouring powder, scourers or abrasive cleaners. – Keep away from fire. 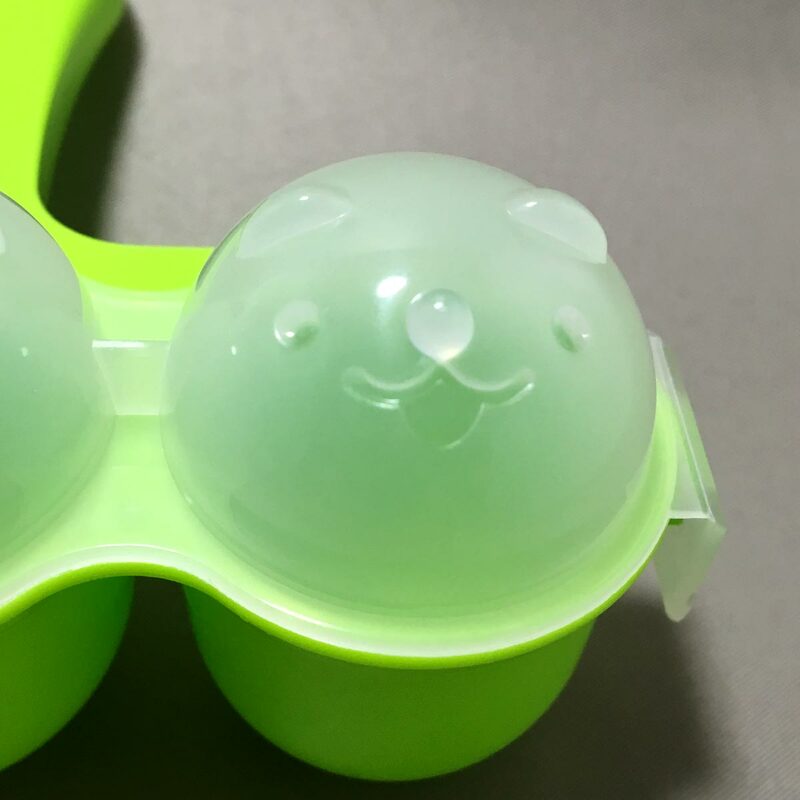 – Do not use force when using the mini rice ball maker. – Dark coloured foods may stain the shaker. 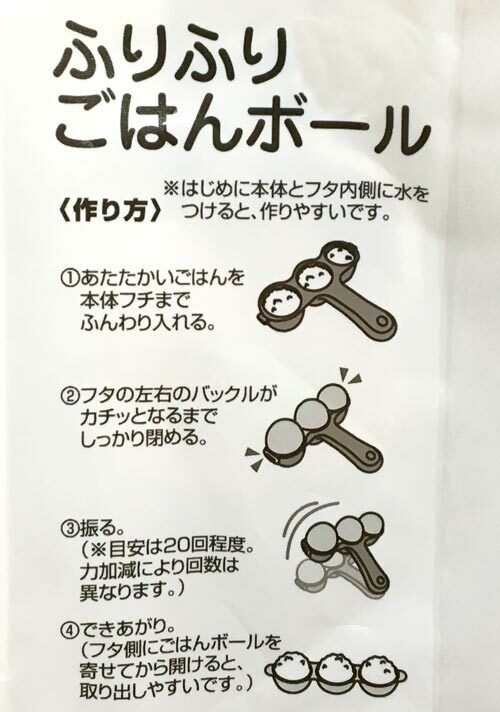 – Do not use the product if it is damaged or deformed. 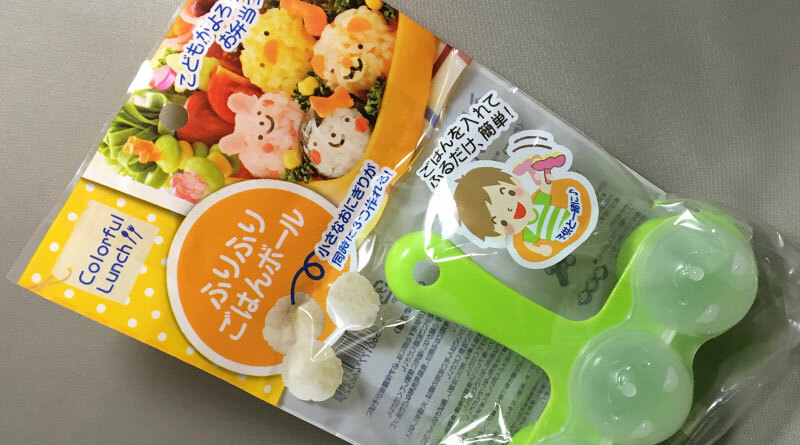 My son loves eating small onigiri rice balls, and this is ideal for us to get him to eat his lunch and dinner. Add some salmon flakes to the rice, and we have different variations of the rice balls. Once he gets older, we’ll get him to make his own. 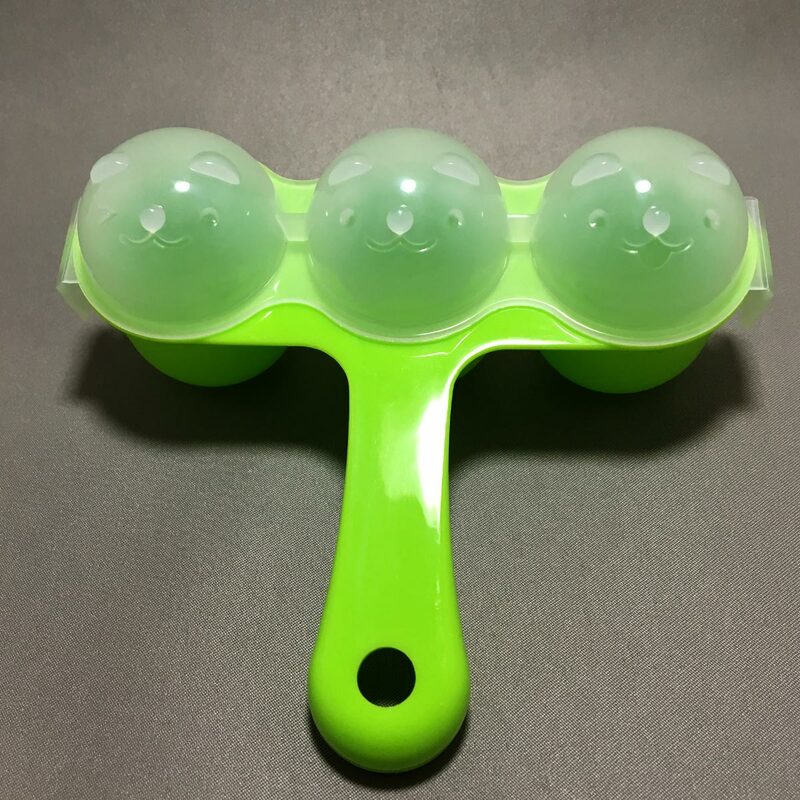 The shaker itself is very well make, sturdy and does not feel cheap at all. Washing it is simple too. 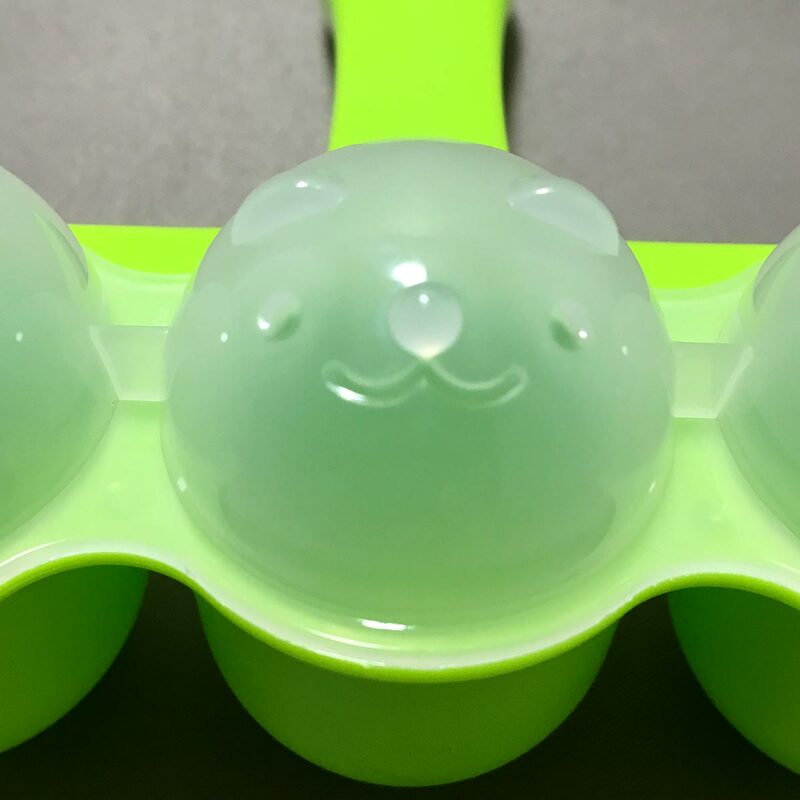 Like the image on the front packaging, make several mini rice balls, and then decorate them with faces to brighten up and add fun to a plain bento lunch!